Las Olas Isles is an exclusive neighborhood of six vertical islets on the Intracoastal Waterway in East Fort Lauderdale. The island community was founded in the 1920s when dredged with the express purpose of creating a picturesque residential district focusing on water frontage. The narrow islands are tightly packed parallel to each other so that the Intracoastal Waterway lapping against the homes’ backyards has the aesthetic quality of a second front drive. The multimillion dollar residences of Las Olas Isles—many in the Spanish and Mediterranean styles—were built with attention to curb appeal from both the street and the navigable canals that double as a back entryway. 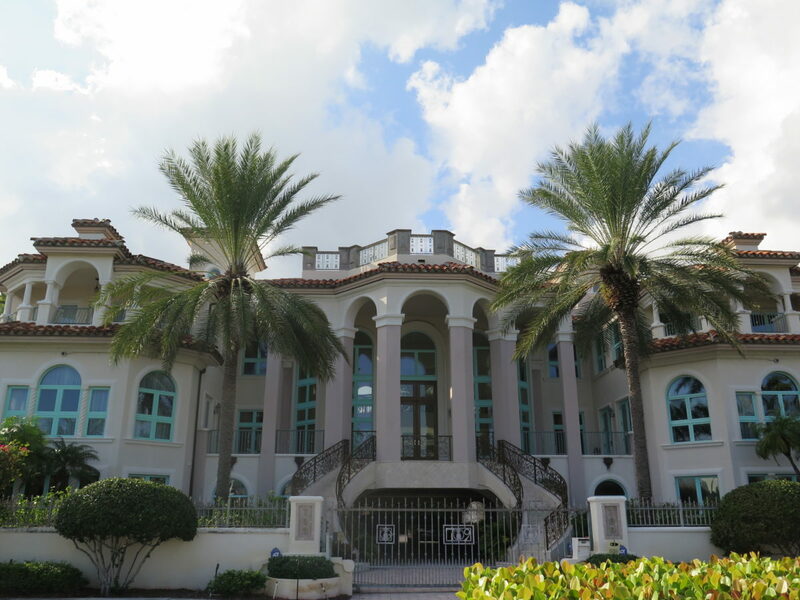 Imagine taking in some of the most beautiful architecture in South Florida as you motor down a palm-lined canal right up to your back step for the night. Because of ample docking accommodations and Fort Lauderdale’s unobstructed access to the deep waters of the Atlantic Ocean, Las Olas Isles is a yachter’s paradise, housing some of the most striking yachts in Florida. Just a short trip from downtown and an even quicker trip to Fort Lauderdale’s world famous beach, Las Olas Isles is a great neighborhood for those who want the charm of a waterfront community without having to stray too far from the cultural offerings of the city. With two major museums, a performing arts center and the famed Las Olas Boulevard with its coterie of art galleries, downtown Fort Lauderdale is an art patron’s daydream. Also nearby is Holiday Park, Fort Lauderdale’s largest recreation area, with amenities like lighted athletic fields, a gymnasium, and the Jimmy Evert Tennis Center. Fort Lauderdale’s riverfront park system is also nearby on the Tarpon River, offering playgrounds, bicycle racks, picnic seating and open fields, all with waterfront views. Public schools in the area include Harbordale Elementary—known for its small class sizes—Sunrise Middle and Fort Lauderdale High School. Private schooling options in the area include some of the nation’s best: American Heritage School in Plantation, 7th in the nation in Merit Scholars; and Pine Crest School, a U.S. Department of Education Blue Ribbon School. Las Olas Isles, in the 33301 zip code area, is one of Broward County’s most desirable waterfront locations.